All these crazy models laying out all this good bait for the next week or so no comments on here? Also the last run of the GFS had a lot more green ahead of the snow than the previous run. This is the Tuesday system FYI. That Sunday system vanished a couple days ago. 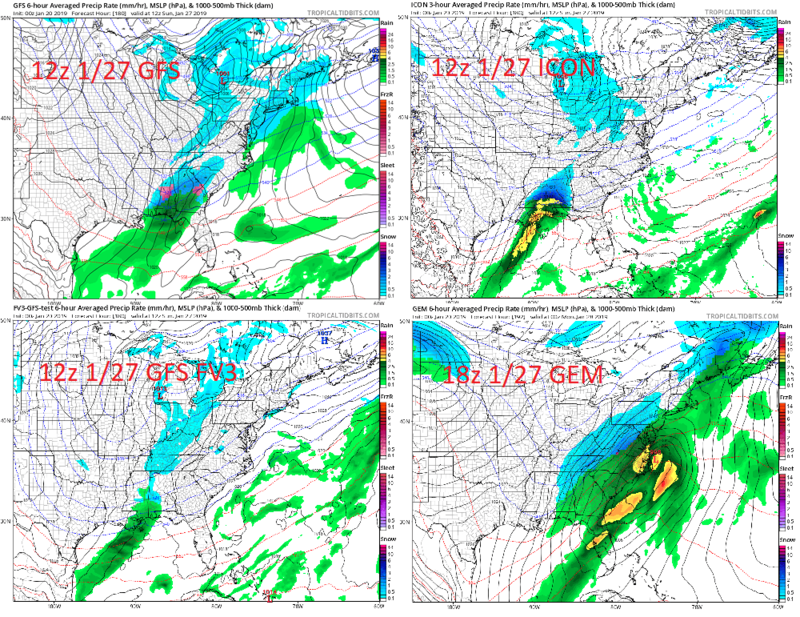 GFS been advertising a small snow event (1-2") around the 29th timeframe for the past several runs. Sure would be nice.. but if it's anything like the rest of the season, timing will change or temperatures will change and it'll be a cold rain. I'm still hopeful though. It’s been pretty consistent for the past couple days for North Alabama. I think the big question is how much rain and sleet fall before the snow starts for places like Huntsville. Could be a real mess for a couple days with the temps right at freezing. There’s still a lot to sort out. Don’t get too excited just be prepared. 18z GFS shows you what a slight shift in the polar energy can do. 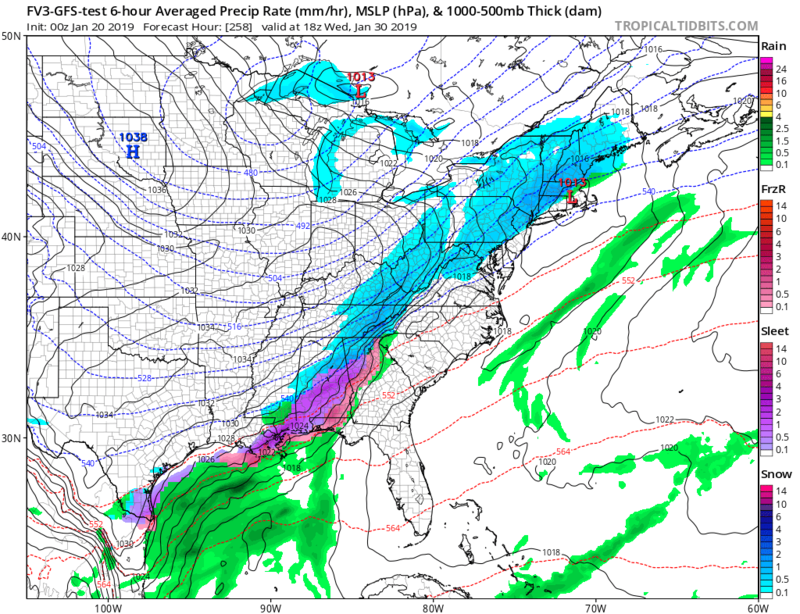 Has little if any snow for North AL and lower totals in Central AL. Sorry, just had to point out that the dates are wrong on the thread title. This is an event for the 29th-30th. expected to end from W-to-E fairly quickly during the morning hours. There has been a trend to dig the shortwave a bit more and induce WSW flow bringing more moisture/precip. If temps plummet into the 20s as advertised with snow falling, this will definitely have a travel impact. Will only take small amounts to create problems. So the potential is there for a repeat of the infamous snowmaggedan pocalypse from and inch and a half of snow January ‘13 was it? Some pretty big hitters with the 12 GEFS members. 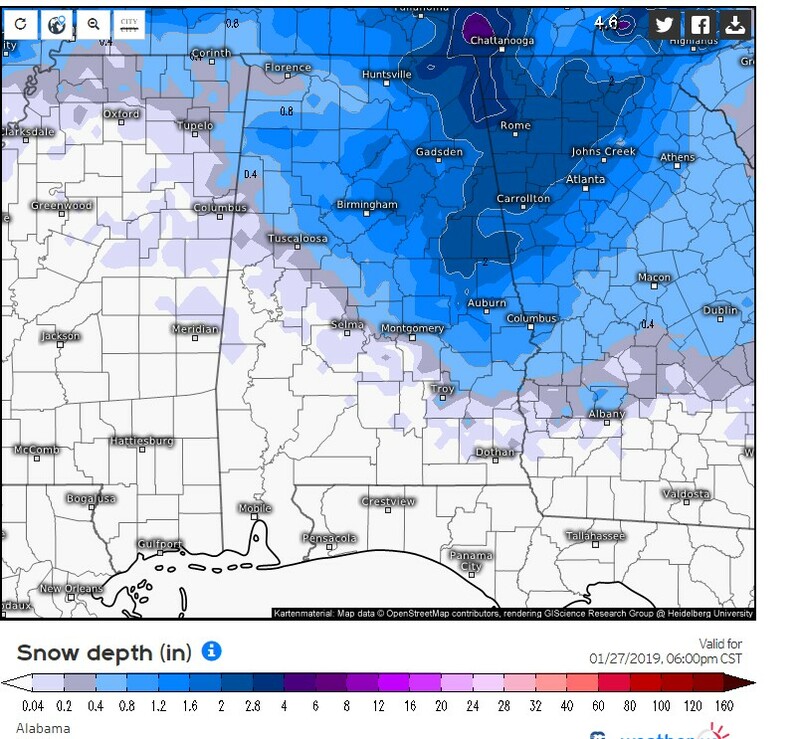 Ensemble mean is pushing 4" in North AL...2-3" in Central AL.